Is your condo in need of a quick and economic makeover? It’s amazing what a fresh coat of paint can do for the interior of your condo. 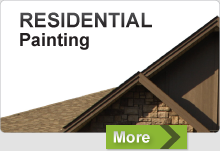 Equity Painters are experts in painting condos because we specialize in detailed work and extremely thorough cleanup. Whether you are looking to paint your entire condo or just a single room, there is no task too big or small for our Abbotsford painters. Our staff are experienced in barrier protection to safeguard your personal property so you can still live in your home while we paint. Our paints are low odour for your personal comfort and will comply with your condo association’s rules and regulations. 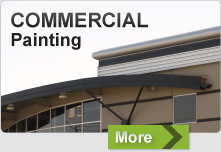 When painting common areas of your building, our Chillwack residential painting company, Equity Painters, will be in constant communication with residents regarding upcoming work and we will schedule door painting so you don’t have to. We are more than happy to answer residents’ questions and calls directly ourselves. Our exterior painting services for condos include power washing, repairing and replacing of damaged or aged siding, sealing cracks, painting, and overall maintenance of exterior areas to ensure that all surfaces are in ideal condition. It’s our goal to assist you in maintaining a clean and professional image that will help retain the perceived rental and resale value of your building. If you are in need of condo painting services, our Langley painters, Equity Painters, will proudly provide the quality work you desire. Call us today at 604-819-2824 for more information or to request an estimate.